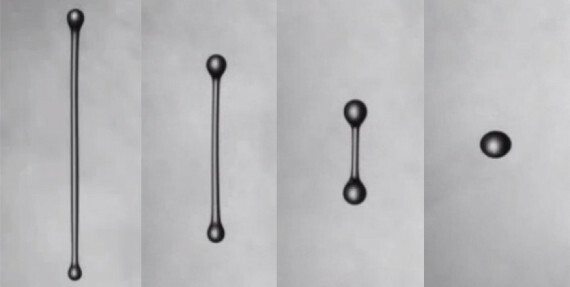 Scientists at the IfM have developed a method for predicting whether a filament of fluid will condense along its length into a single droplet, or collapse into multiple droplets. The research, published in the journal Physical Review Letters, could aid in designing processes for paint-spraying, ink-jet printing and the dispersion of drugs for inhalation. One of the greatest challenges facing the ink-jet printing industry is to develop print-heads that are capable of generating “clean” single, uniform size droplets within a large range of fluid properties (viscosity, surface tension). Led by Professor Ian Hutchings, the team developed a large-scale, fully controlled model of a print-head to recreate the process of droplet generation.